Welcome to BarDew Valley Inn! Experience laid-back elegance and serenity. 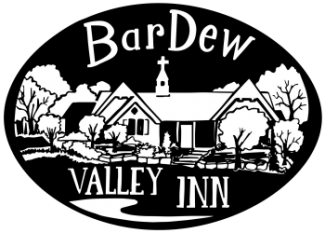 BarDew Valley Inn provides a relaxing and comfortable retreat for those who are visiting in the area. We offer uniquely designed rooms and a free country-style breakfast in the morning. We have four suites (with the 5th in the works) from which to choose each with its own private bathroom and patio. Each room features elegant and extra-cozy accommodations. From the Big Easy to the Big Apple, the Wild West to Sleeping Beauty's Château, each of our rooms is a destination in itself. The property sits on over 14 acres with a large pond and areas to hike. There is something for everyone. Come experience a getaway within a getaway. Hello! We are Perry Haynes and Beth Anderson. We're thrilled to invite you to come stay at the BarDew Valley Inn - Bed & Breakfast in Bartlesville, Oklahoma. This home was constructed in 2006 for the ABC television series Extreme Makeover: Home Edition. After taking ownership in 2015, we've been renovating both the interior and exterior to transform our property into a B&B. Before our dreams of owning a Bed & Breakfast became a reality, we both had long-time careers. Perry has remodeled homes for over 30 years under his business, Everything Interiors, LLC. Beth owns Chic Galleria Publications, LLC (ChicGalleria.com and StylebyBeth.com) and has taught elementary school for over 20 years. Together we were able to combine Perry's expertise in construction and design with Beth's background in marketing and public relations. We think we make a great team! We pride ourselves on offering a warm and comfortable atmosphere. We want you to feel at home and will do everything to make your stay enjoyable. We have lived in the area for many years and are personal friends of the Drummonds (a.k.a. The Pioneer Woman). We can give you inside information to the best spots and attractions around town, things you won't find in any travel guides. This includes restaurants, bars, bike rentals, shopping, event tickets, and even yoga. Whatever your heart desires, rest assured you'll find it on your trip. We invite you to visit us and take in all that the Green Country of Oklahoma has to offer. We want you to feel at home in our home. In March 2006, ABC's Extreme Makeover: Home Edition built this home for the widow and children of the pastor of Bluestem Baptist Church in Dewey, Oklahoma. Perry Haynes purchased the home in 2015 and along with his partner, Beth Anderson, they have transformed the home into a stunning Bed and Breakfast. This private home was built for the ABC television series Extreme Makeover: Home Edition. Sold to new private owner. A shop was added to the property. Home was purchased by Perry Haynes and renovations began. GRAND OPENING of BarDew Valley Inn. 393420 W. 1400 Road - This serene B&B is conveniently located between Bartlesville, Dewey, and Pawhuska. We are a great home base for your stay. BarDew Valley Inn is just a short drive to Bartlesville, Dewey, and Pawhuska. There is always something to do! Let us help you plan your visit. In Bartlesville, experience world-class festivals, ballet, theatre, live concerts, museums, beautifully restored architecture, art galleries, an extensive park and trail system, and a very popular Farmer's Market. Take a quick 30-minute drive West on Highway 60 to Pawhuska to visit The Pioneer Woman Mercantile as well as many other great shops and restaurants! Dewey is the home to antique and specialty stores that will keep you shopping for hours! Don't forget to visit the Tom Mix Museum, Dewey Hotel Museum, and Prairie Song Pioneer Village.